"They're the best band I've ever heard", claimed Bon Iver's Justin Vernon when he first heard Poliça last year. Now he's lucky enough to collaborate with the American band on their latest single Tiff, released ahead of a second album due later this year and performed for the first time at this year's Coachella Festival in California (see below). Vernon's input into Tiff appears to be pretty minimal, besides trading vocal duties with frontwoman Channy Leaneagh. You'll find none of his soft falsetto or gently plucked guitars here - this is a Poliça track through and through. 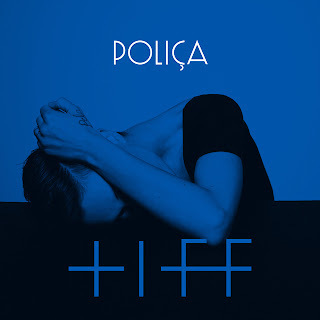 Yet for Poliça this is a very typical track. Their sound is certainly unique - a hazy wash of synths, Leaneagh's vocoded singing, deep melodic basslines and two drummers duelling for supremacy. Tiff, however, is a mid-tempo jam that lacks the thrilling ingenuity of the band's debut album. "I'm a pawn in the hype machine", sings Leaneagh in the opening verse. It's a statement that sadly rings true here - Tiff feels overhyped and a little underwhelming. Listen: Tiff is available now.